Topcoder is one of the best ways to learn new technologies. You basically get free and detailed reviews whenever you submit and you might even win some cash if you do a good enough job. Speaking of cash, the prizes at Topcoder are usually pretty fair. If you are good at what you do, you can come close to or even exceed the hourly earnings that you might expect at a high-paying day job. Although Topcoder is not exactly a freelancing platform, it does afford you the perk of location independence that most digital freelancers get to enjoy, which means you can travel the world and keep working if you want to. Last but not the least, at Topcoder there is nothing monotonous about it. Every day there is a new kind of problem out there for you to work on requiring you to think in unique ways and take on new challenges. Unlike other freelancing platforms you can voluntarily choose to start working on a challenge and if you don’t feel like doing it any longer, you can just abort – no questions asked. 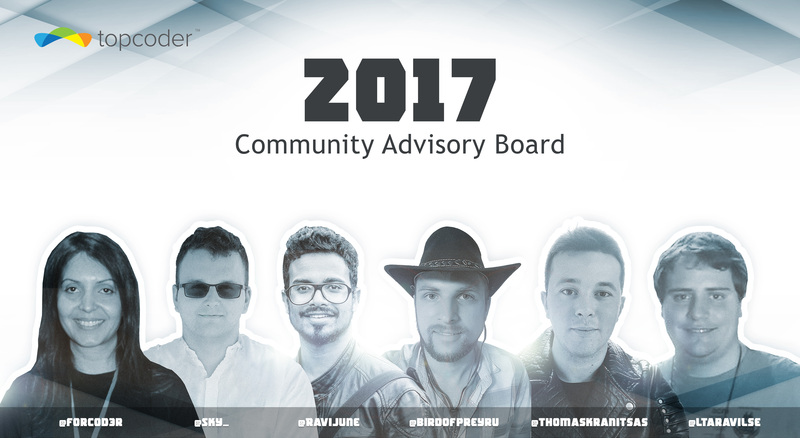 This is probably one of the most unique things about Topcoder. Having gone through the usual suspects above, let me talk about the most under-appreciated thing in life: Time. Here’s my show-stopper of a pitch about the most esoteric thing you can earn by working with Topcoder long-term: you can earn a lot of time for yourself through Topcoder. If you’re willing to be a bit philosophical, it’s easy to realize that time is the most valuable of all things we have. Even if you’re not into such deep esoteric thoughts, at the very least, with Topcoder you’re your own boss, period. You can use this authority to choose your work schedule and spend your time however you like. When I talk about a “schedule”, I don’t just mean daily scheduling, I’m also talking about scheduling your work cycles on a weekly or monthly basis by taking a year-long view of how you want to spend your time. What most people do not seem to realize is that if you are your own boss, the most important thing is not that you don’t have to deal with a real boss anymore, it is that you get to control how you spend your time. If you think about it, nobody has full control over their time, no matter how well they think they might be doing in life. For instance, if you are a child or a teen, you obviously don’t get to decide your daily schedule. If you’re an adult and if you have a day job, then no matter how rewarding and satisfying your job might be, the fact remains that you have little control over how you spend your time on a daily and on a long-term basis. What about entrepreneurs though? In principle, don’t they have the freedom to do whatever they want? Well yes, but only ‘in principle’. Realistically, entrepreneurs need to put in more time on average than their employees if they want their startups or businesses to succeed. The only way to truly be able to make your own schedule and have time for yourself is to either be so rich that you do not need to work at all or have a source of income that does not vanish if you take a break anytime you want. Now if you think about it, Topcoder is that kind of source (as long as you’re into software development and/or design). Topcoder is a source of income that you can tap into for as long as you want, and then go away for as long as you’d like and come back again, with no one stopping you from doing the same thing over and over again. I should point out though that even if you have full control over your time you might still choose to work hard on your professional responsibilities, which is completely fine. Also, many of you may not choose to go this route at the cost of losing your daily job you might have, which is also fine. My pitch is specifically for people who may be interested in exploring new possibilities that can offer you more free time or those people who are bored of their monotonous life built around rigid routines. But those of you who are in for the pitch and if you are truly want to be living a free life, know that you should be able to take breaks as long as you want so that you can break out of the societal moulds you’ve always been in. This basically affords you a lot of time for yourself, which in my opinion every human being deserves in order to truly realize their potential. 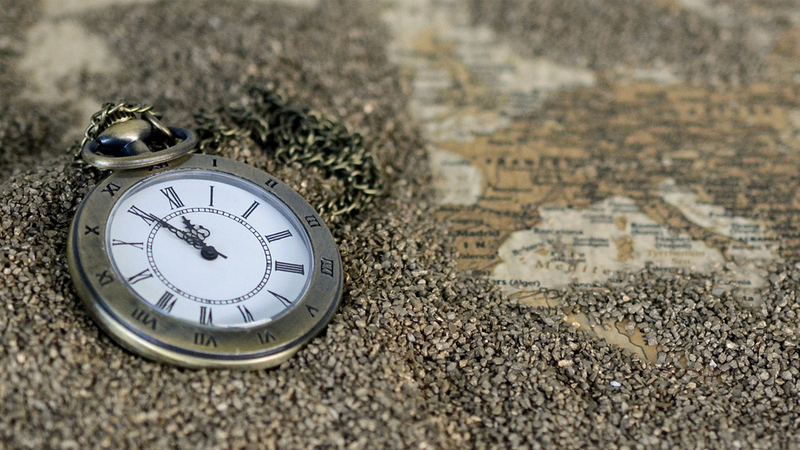 I believe that time is the single most important and precious thing that a human has and Topcoder can provide exactly that! It’s like giving Gollum his ‘precious’ ring back – it’s that profound, if you think about it! You need to be good at pacing yourself. This means that you need to get into the habit of being able to work hard for extended periods of time and perhaps work 80+ hours a week when you do decide to work. At the same time, once you’re confident that your work weeks have generated enough cash to sustain you for a few months or more, you can take break. You need to earn enough annually before you can think about not working for extended periods of time. As a rule of thumb, if you have spare cash to sustain you for at least 3-4 months, you’ve effectively earned 2-3 months’ worth of absolute free time. Ensuring that your burn rate is relatively low That is, if you live in a place where even basic rent and sustenance is expensive, then you’ll have a hard time taking extended breaks from work. In this case, I’d suggest traveling to cheaper and more ‘digital-nomad friendly’ and yet fun locations around the world, such as Thailand, Goa, Indonesia and a variety of other locations in Asia and Europe, where there are plenty of co-working spaces and expat friendly lodgings and hostels. In fact the main reason why people live in big cities is because they have their jobs there. If no such physical proximity to your job is required, you can basically go anywhere, and in fact, most of these destinations might be cheaper and yet better than where you currently are! Your relationship status – This one’s easily the most common deal-breaker for most people. You need to be either unmarried or even if you already are it is important that your spouse is aware of your plans, does not have a problem with it, and is ready to live a borderline ‘hippy’ life. I know this is a deal-breaker for a lot of people, but if it is not then I’d genuinely recommend you go for it! Okay, So What Does One Do With All This “Free Time”? Acquire new skills – You could use the time to learn something completely new related to a specific technology or design pattern and it can effectively make yourself a lot more battle ready for the future. For instance, if you are a front-end developer you could use your free time to learn native app development or maybe explore what Machine Learning is all about. Do nothing and be lazy – Yeah, you read that right. Just take a few weeks and live like prehistoric people by doing nothing – no agenda, no goals, just sleep, gossip, party, daydream, or do whatever useless thing you want to do. Trust me, there’s a lot of fun in just lazing around aimlessly on your couch assuming that you don’t do it for too long! Give attention to your family – You could just spend quality time with your family, giving them 100% of your attention. Get philosophical and introspective – Make the most of the voids and try to rediscover yourself. Just take a pen and paper and think about how you’d ideally want your life to go from here and if everything is exactly how you want it to be or if you’d like something (or many things) to change. 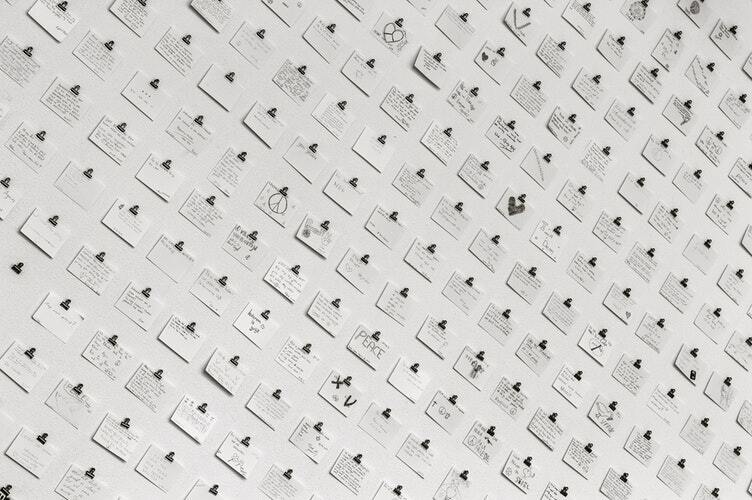 Work on things from other domains – If there’s another interest of yours that is unrelated to your work but requires considerable attention and effort, this would be great use of your free time. In fact, I do exactly that with the regular breaks that I take from my work since becoming a freelancer. Physics used to be my favorite subject when I was in school, though with lack of proper counseling and information I chose to pursue a Computer Science Engineering degree and effectively killed my career in Physics. Now with the time that I’ve earned, I can have days or even weeks to study topics of interests, which require considerable effort and attention and hence would have otherwise been impossible to do while working part-time everyday on something else. So if you happen to be in a space where your daily schedules and routines are not things that you really want in life, it may be time for you to consider getting on the Topcoder bandwagon. Once you become experienced enough here (in addition to the great things you’d accomplish for Topcoder clients and your own professional self) who knows what great things you will be doing with the time and freedom that you’ll have. If you are in such a phase or just curious now, we’re looking forward to having you on board! 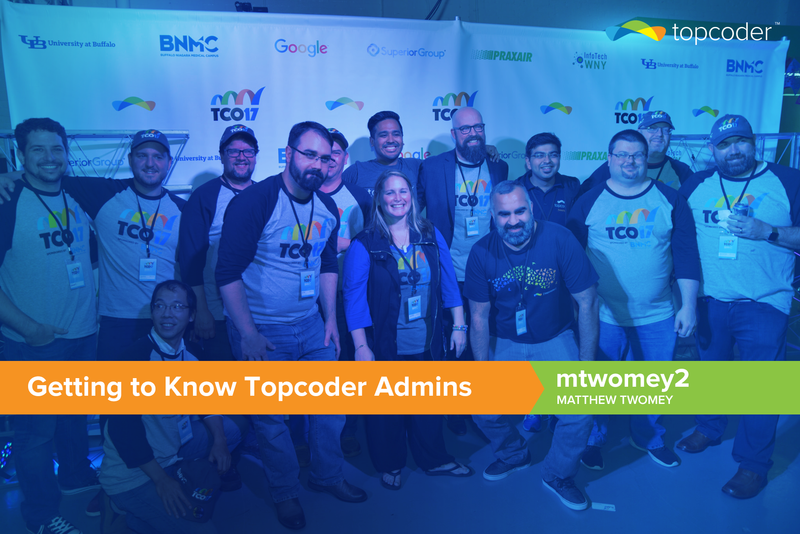 Getting to know Topcoder Admins: Meet mtwomey – Matthew Twomey!